At the companies annual Worldwide Developer Conference earlier this month, Apple unveiled macOS 10.14 Mojave, the newest update to its’ Mac operating system. The update includes a number of new tools for power users, including a heavily updated Finder and dark mode, as well as a number of smaller changes. However, at the end of the presentation, Apple made a surprise announcement. macOS Mojave would include an early preview of three apps from the Marzipan initiative, an internal project to tie together all of Apple’s product lineup into a unified software foundation, by shipping three apps running a new set of developer tools allowing iOS apps to run on the Mac. 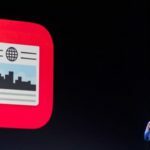 The apps (Apple News, Voice Memos, and Home) are direct replicas of their iPad counterparts, and in their current beta stage, feature traditional iOS dialogue boxes and sometime status bar glitches. These are not apps with copied resources, these are true to heart version of iOS apps running of macOS. Apple has achieve this by essentially including a stripped version of iOS within Mojave. The apps do not take up any more processing power than any other app, and while little has been added to make these apps a better experience on a Mac, they certainly work. This aspect of the project, allowing developers to port their apps to macOS with little tweaking, is just one aspect of the larger Marzipan initiative. 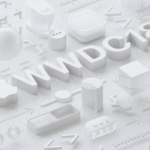 Throughout the next two years, Apple hopes to completely overhaul its entire software foundation all leading to the unveiling of the companies next major product announcement. The goal of the Marzipan initiative isn’t just for Apple to bring more apps to the Mac by allowing developers to port their apps. Later next year, the company will also introduce a new set of developer tools with shared assets across iOS and macOS, with the hopes of developers coding one application for all platforms. 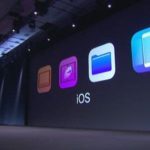 The move will also accompany redesigned, universal App Store pages, allowing for developers to have one app work across Apple’s entire product lineup. The company hopes to create a standard where users will be able to have a seamless experience across devices. Developers will be able to add deeper functionality to the Mac versions of their apps, whether from the new cross-platform framework or by porting their iOS app, in order to take advantage of the Mac’s power and capabilities. Marzipan will coincide with Apple’s plans to begin a transition to Apple-made A-series chips from Intel in Mac devices beginning in 2020. 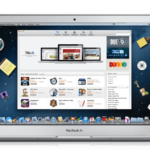 The move will start with lower-end devices like the MacBook, however will quickly move up the lineup. Apple has been working on powerful A-chips internally for at least half-a-decade that can match the performance of Intel’s best i-series processors, and has also been working on its own line of dedicated graphics chips. Apple also hopes to improve and unify the Siri experience as part of Marzipan. 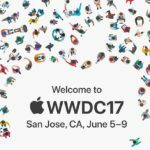 At WWDC, Apple unveiled Shortcuts, a new way to add more complex commands to Siri. Shortcuts will be setup on your iOS device, however can be used across HomePod, Apple Watch, and your other devices. Apple hopes to have a unified Siri experience across all devices, allowing a user to ask all commands to any of their machines. Marzipan is being done in part to prepare for Apple’s next big thing, an augmented reality headset, currently planned for 2020 announcement. The device will be a headset that augments the real world with digital items, a move that Apple internally believes may end up replacing the smartphone. Marzipan will also include completely redesigned versions of iOS and macOS, accompanying a new image that Apple hopes to introduce across its lineup.